Kia Ora! Before I bring you my Hong Kong posts, let me share with you a slice of New Zealand. It's a country I regard fondly. Some of the nicest (and very talented) people I know are from there, and everyone I know who has moved there LOVE it. While I've not had a chance to go to New Zealand, I'm glad I still get to enjoy what it offers...especially its food and beverage (F&B) selections! 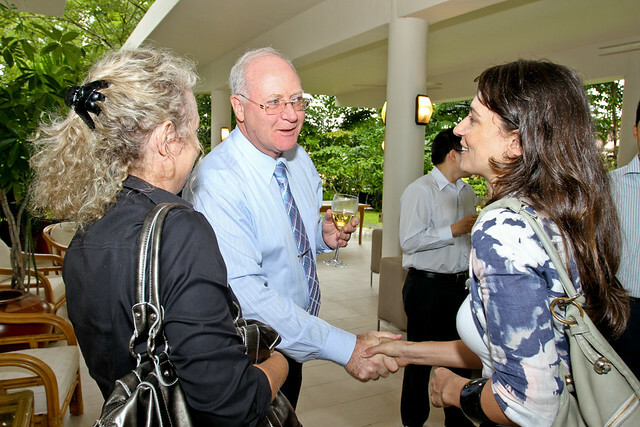 Two days before my HKTB trip, I had the honour of lunching with the lovely folks from New Zealand Trade & Enterprise (NZTE) and the New Zealand High Commissioner to Singapore, Peter Hamilton, who comes across as genuinely warm and humble. Here he is below, welcoming his guests. The occasion? Well, Singapore's become New Zealand's sixth largest bilateral trading partner, with F&B (mostly dairy, meat, seafood, beverages) being the major driving force. The two countries have also marked the 10th year of a Closer Economic Partnership (CEP) agreement. 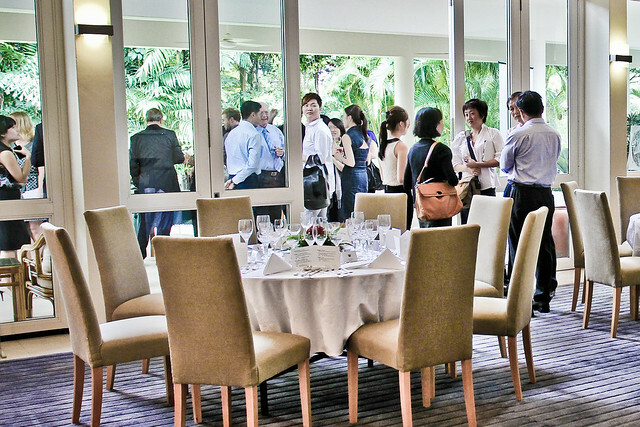 The media lunch at the New Zealand Residence was a showcase of New Zealand fine food ingredients and wines. Award-winning chef Jason Dell prepared a four-course meal with his "fresh, simple, honest" philosophy. He's been helping NZTE as F&B Ambassador, and is currently Executive Chef heading up kitchens at Graze Rochester Park, KHA at Hort Park and newly opened Graze@38 Martin at Robertson Quay. 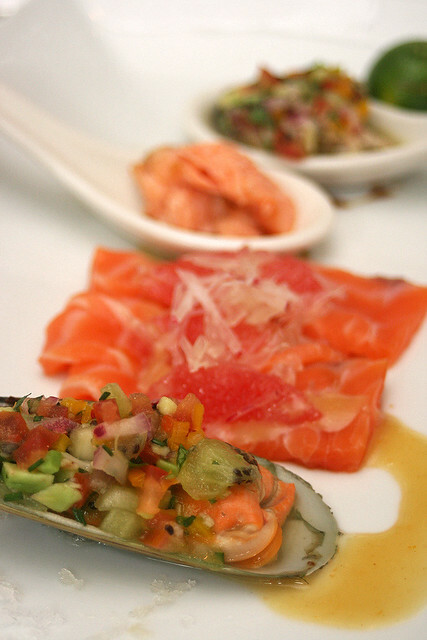 After our delicious amuse bouche (first photo above), we had the Oceanic plate from Marlborough - Raw New Zealand king salmon with grapefruit, radish and miso, green shell mussel with VNC Pacific Mai Tai, cilantro, kiwi and avocado salsa. 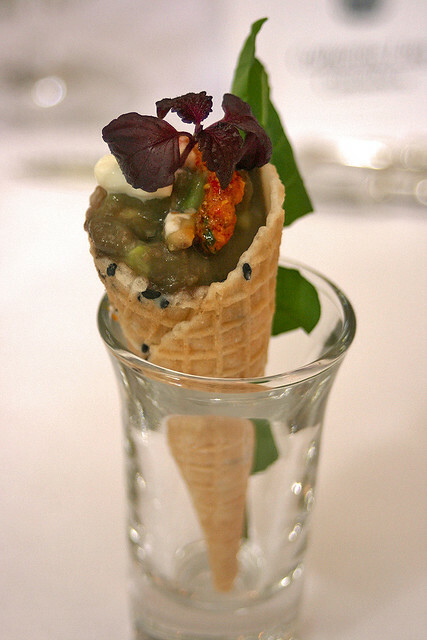 I absolutely loved the salsa and how it brought out the sweet fresh flavours of the seafood. The seafood entree was paired with Misha's Vineyard's Starlet Sauvignon Blanc. 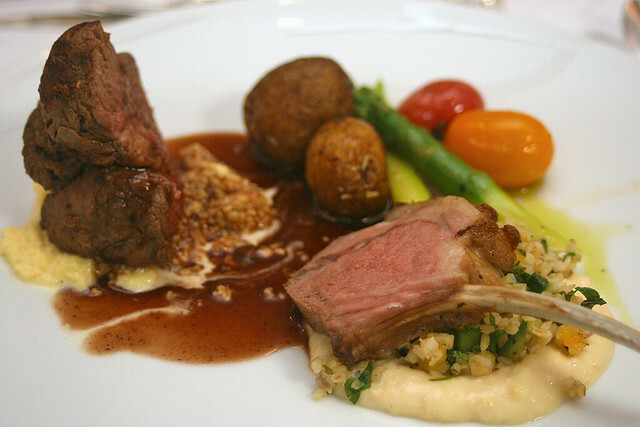 The meat courses - Grilled New Zealand lamb with tabbouleh and hummus, seared grass-fed New Zealand beef, scrambled egg and pinot noir jus, rosemary, honey and duck fat roasted potatoes. I think we're all pretty familiar with New Zealand meats, and these were as good as expected. The wines: Pencarrow Pinor Noir and Villa Maria Merlot, Hawkes Bay. A lovely array of desserts - blackcurrants with New Zealand vanilla and kiwifruit a la "Yang Zhi Gan Lu", New Zealand lemon olive oil cake with fresh raspberries and yoghurt sorbet, Kikorangi blue baked cheesecake. We had the Sileni Cellar Selection Riesling 2008, Hawkes Bay to go with desserts. Our table loved the award-winning cheeses - Kapiti Kikorangi blue and Whitestone Brie with New Zealand honeycomb, walnut toast and crackers. We asked for seconds and thirds! 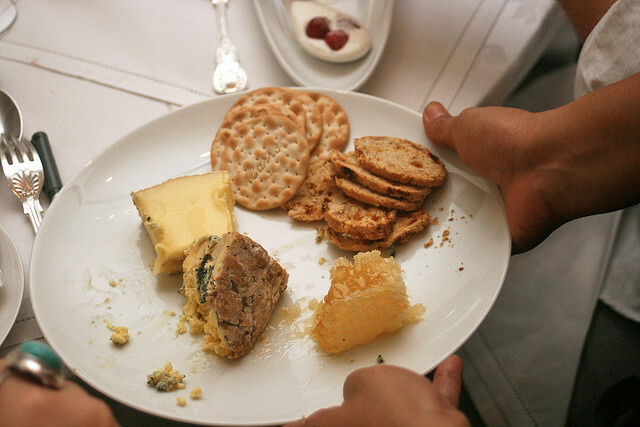 The wine chosen to accompany the cheeses was Yealands Estate Pinot Gris. So that was our Taste of Aotearoa. Such a pretty name, no? Aotearoa is the Maori name for New Zealand. "Ao" means cloud, "tea" means white, and "roa" means long. Land of the long white cloud. I should think about a food trip there too. Jetstar will have direct Singapore-Auckland flights come March, so that's good news! Anyone of you have good eateries/food markets in New Zealand you know of, please share! 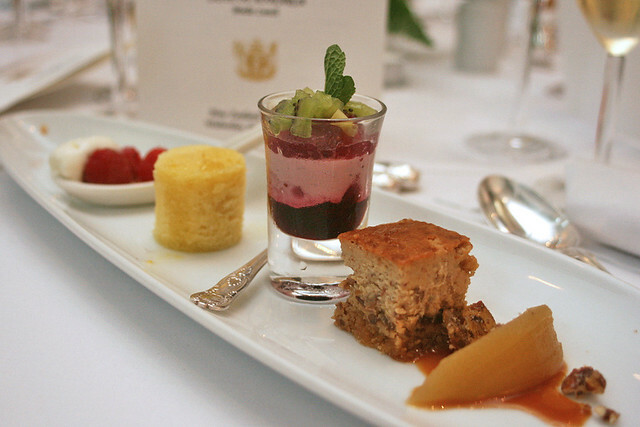 The meals are modern/refined interpretations, looks great.